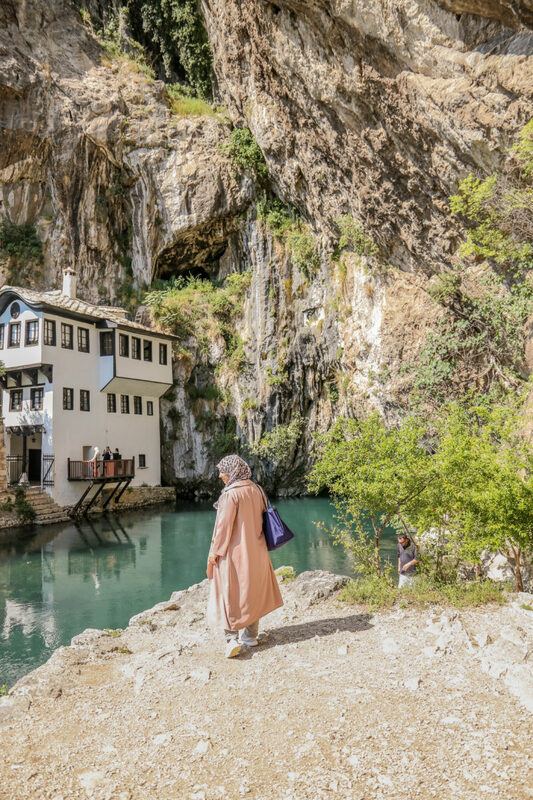 The highlight of our trip to Mostar was without a doubt our visit to the beautiful Sufi Monastery: Blagaj Tekke. 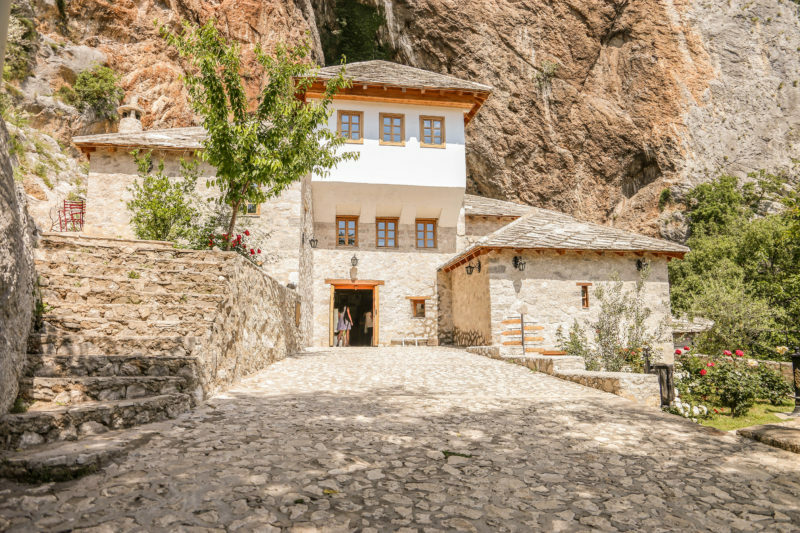 Located a short 20-minute drive away from Mostar in the village of Blagaj, the Blagaj Tekke sits at the base of a cliff on the beautiful Buna river, in the most serene surroundings. 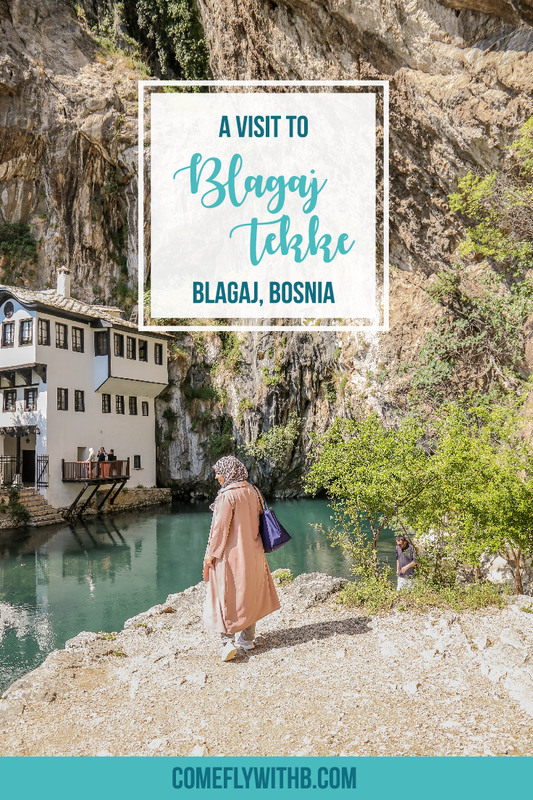 It is not actually known when the Blagaj Tekke was first built, but the first public record of its existence dates back to 1164, when Ottoman explorer Evlija Celebija made reference to the already well-established Tekke in his travelogues. 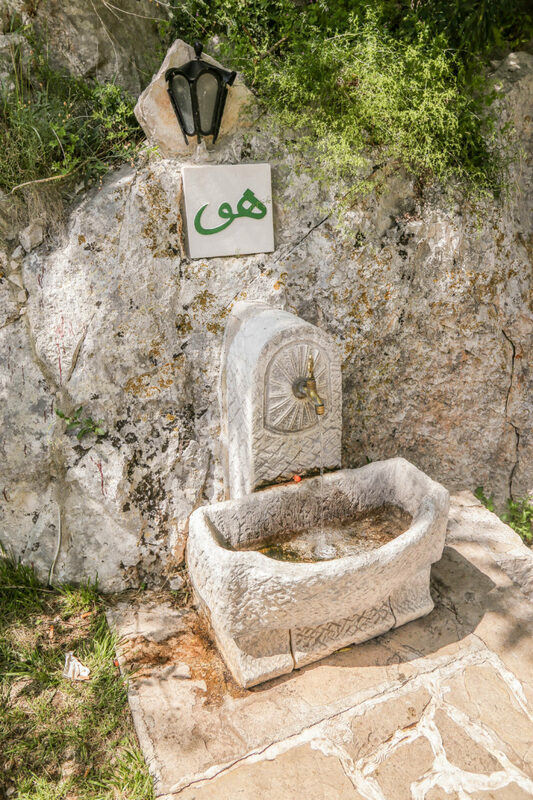 The Tekke was an important place for Muslim worshipers, who would visit the Tekke to spend time in solitude to perform Dhikr (remembrance of God). 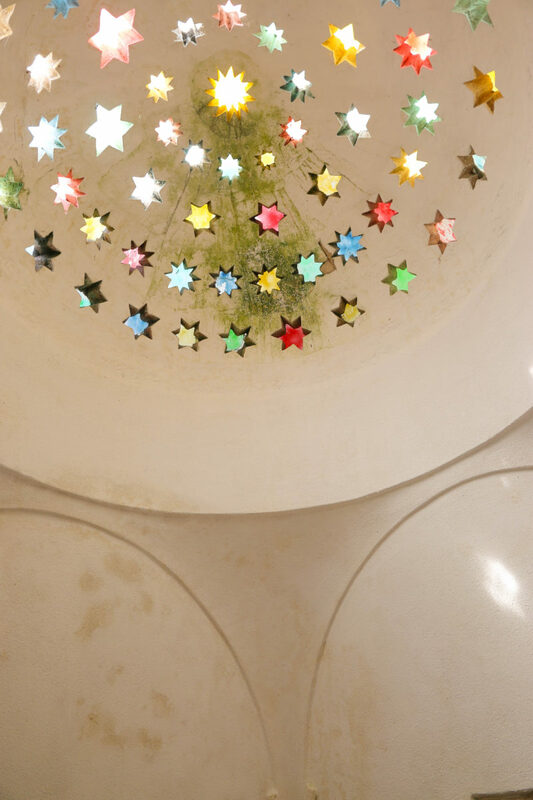 To this day, the Tekke continues to host Dhikr sessions and you can even sit in on them! The Tekke has been renovated numerous times over the years as the location (below the cliff) meant the structure was prone to damage from falling rocks. 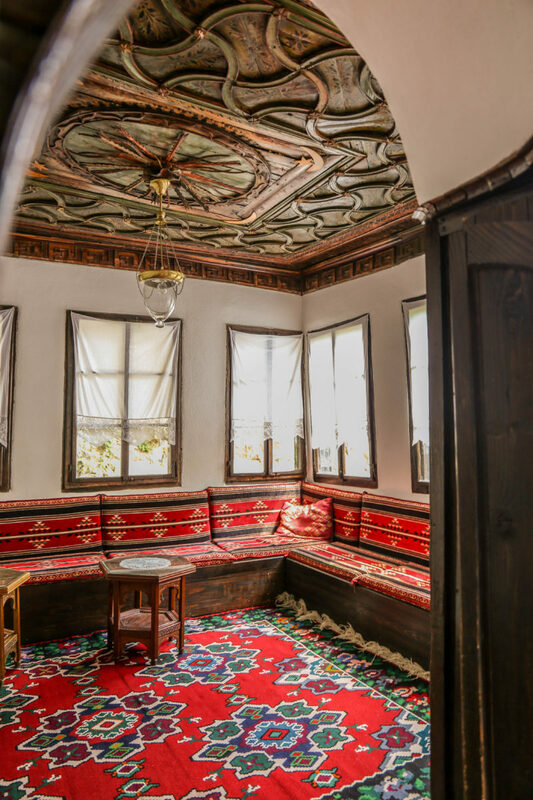 The last renovation took place as recent as 2013 and the tekke has grown in popularity over the years. Whilst the inside of the Tekke is small and simple, it’s not hard to imagine why this place was favoured by worshipers for so long. The location and setting of the Tekke transports you elsewhere, the beauty of the surrounding nature and the simplicity of the structure results in a clear, untainted vision; the perfect setting for reflection and solitude. 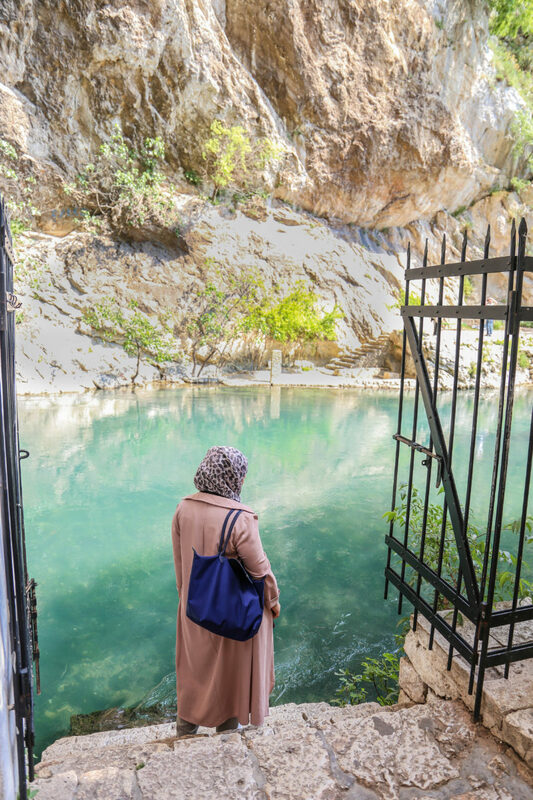 The waters of the Buna river are so inviting here that people often kneel down to take a sip from the clear flowing water! There is a bus you can take from Mostar (number 11) that will take you there, but we opted to take a taxi instead. Our taxi driver offered to wait for us for an hour to ensure we had a return journey back (we didn’t see any cabs there and it’s a little cut-off from the city to be stranded in). It cost 40marks for our return journey and an hour was plenty of time for us to enjoy the area. The most famous picture of the Tekke on Google is actually taken from the riverbank on the opposite side of the river (facing the tekke directly). We found it a little difficult to find the exact location (as it was hidden behind a restaurant!) 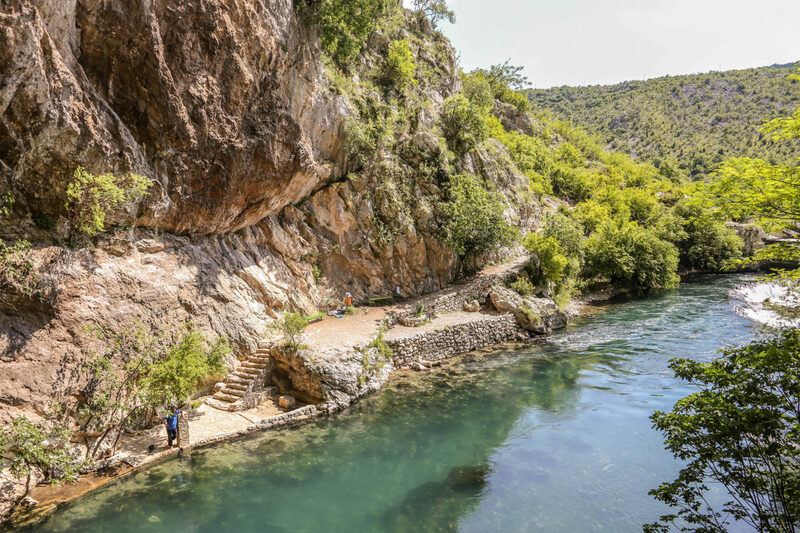 – just remember that it’s on the opposite side of the Tekke near the carpark, you may need to climb some tiny hollowed-out steps carved from the rocks to get there. 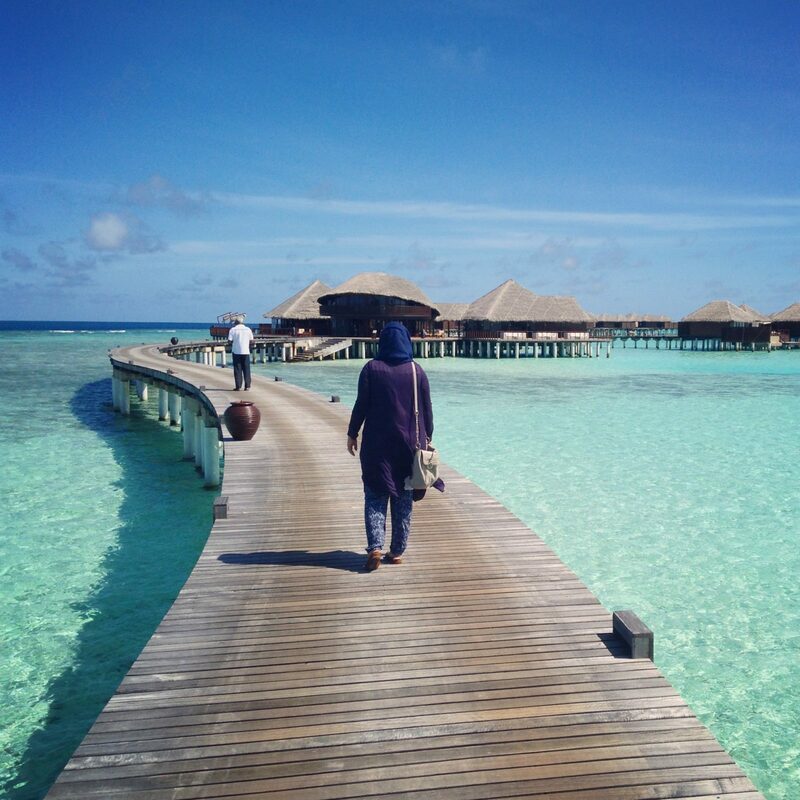 If you can’t find your way don’t be afraid to ask the restaurant staff for help! 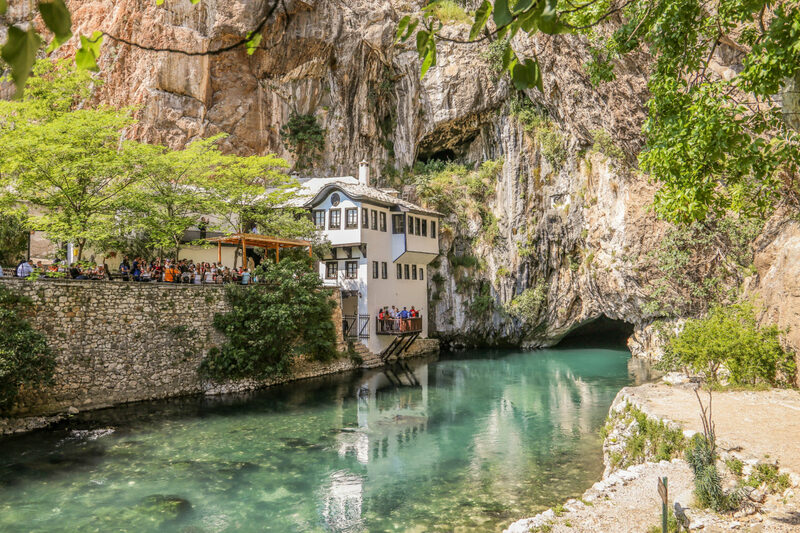 The Blagaj Tekke is beautiful and well worth a stop if you’re in Bosnia. Visting Sarajevo too? 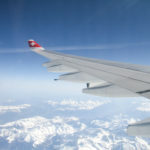 I’ve put together a Sarajevo guide you may find interesting! Enjoy this post? Pin it on Pinterest to save it for later :)! Next Post My 2017 In Travel ; Road Trips, Desert Nights and Lots Of Hikes!